The Columbia Joey creates the perfect pocket for carrying an extra bowling ball. 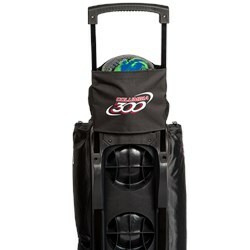 This accessory attaches to a wheeled bowling bag by slipping over the extended handle and a velcro closure secures the ball to the bag. The mesh "see thru" front panel allows you to identify which bowling ball is in the Joey. What is the Velcro and extra flap for? This bag will fit over the extended handle of a rolling bag. So the flap and velcro on this Joey is to slip over the hand and secure the Joey to the handle of the rolling bag so the ball does not fall off. This will ship out of the US from the closest warehouse to you. 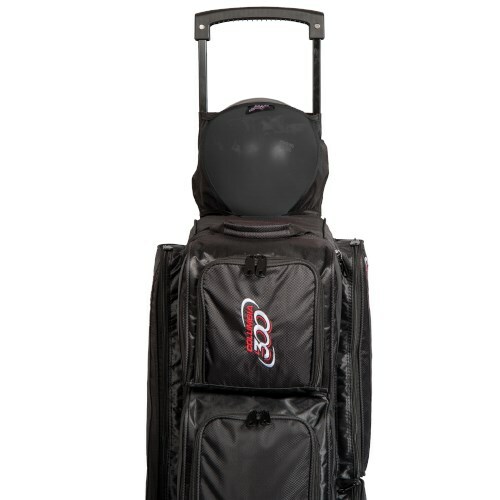 Due to the time it takes to produce the Columbia Joey Black ball it will ship in immediately. We cannot ship this ball outside the United States.